I’d been interested in making a true bypass looper for a while. 1) a mechanical bypass system using normal 3pdt switches. The electronic approach has the benefits of using “soft touch” footswitches as well as being programmable. For example: pressing 1 footswitch turns it on but another off – not achievable using mechanical means. An EE friend of mine suggested a multiplexer based approach with a programmed PIC chip. Unfortunately that’s way above my skill level to develop myself. Next I came across a project that used a PIC chip but provided the programming. It also has complete schematics and build info. I could ask someone to program the PIC for me. The only reservation is that it doesn’t have a direct “play mode” ie 1 footswitch turns on/off 1 output. It only has a “bank mode” with 4 options, so wouldn’t be ideal with an 8 pedal switcher. But for someone with regular gigs (not me!) – this seems like a great project. Finally, I discovered the PedalSync 9 switches module. It’s perfect in that it has a “play mode” as well as being programmable. It can store 128 different pedal combinations. It functions without midi controls but the programs can be recalled using a midi controller sending “Program Change – PC” commands. Even better, PedalSync offered a simple 4 preset midi controller as well – ie one switch toggles between 4 different settings. Furthermore, this can be controlled by any midi controller if banks or presets are needed. 4 presets is fine for me but I like knowing its perfectly upgradable with another midi controller. The next issue is that the 9 switches responds to momentary switches ie a physical switch being pressed, but gives a logic output ie as a voltage between 0-5V. It’s designed to be used with the PedalSync switchers but at $20 a prebuilt module x 8 outputs = $160 = R1300. Pretty expensive! The alternative: build 8 DPDT relays for the 8 outputs. Will be working on a schematic and I’ll likely get 8 small PCBs fabricated to make things A LOT simpler. 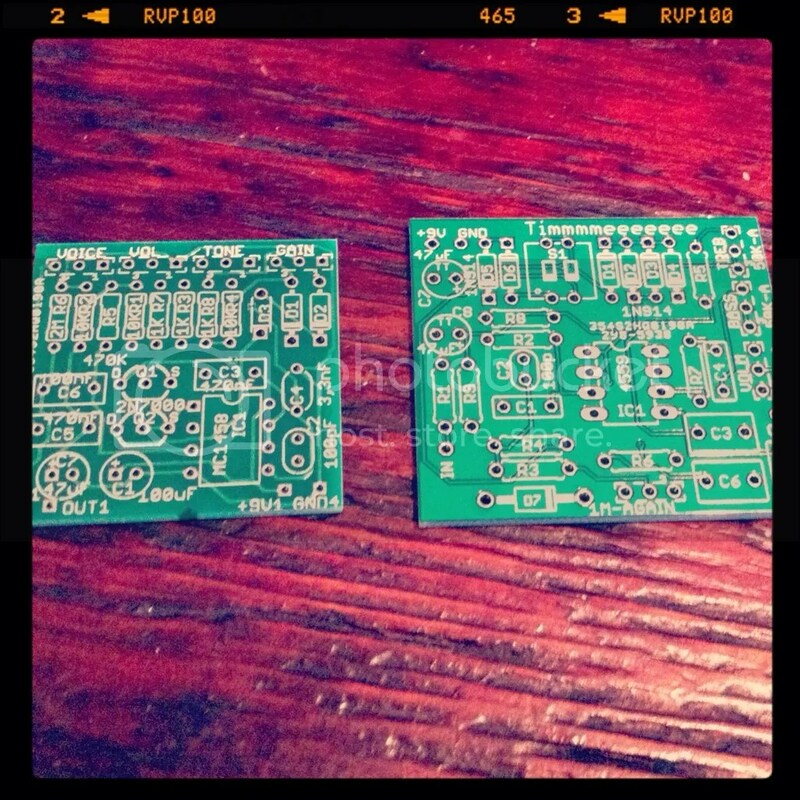 I sent in a few pedal PCB’s a while back to be fabricated (and to test product/time of the manufacturer) – quite pleased with the result! There will be a switchable buffer at the back. I’m thinking a Klon buffer sounds good. 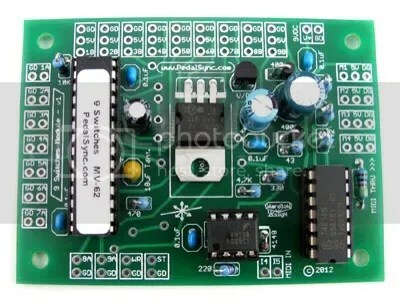 The schematic is easily available through a quick Google search. This was going to be a big issue as enclosures get pretty damn pricey! 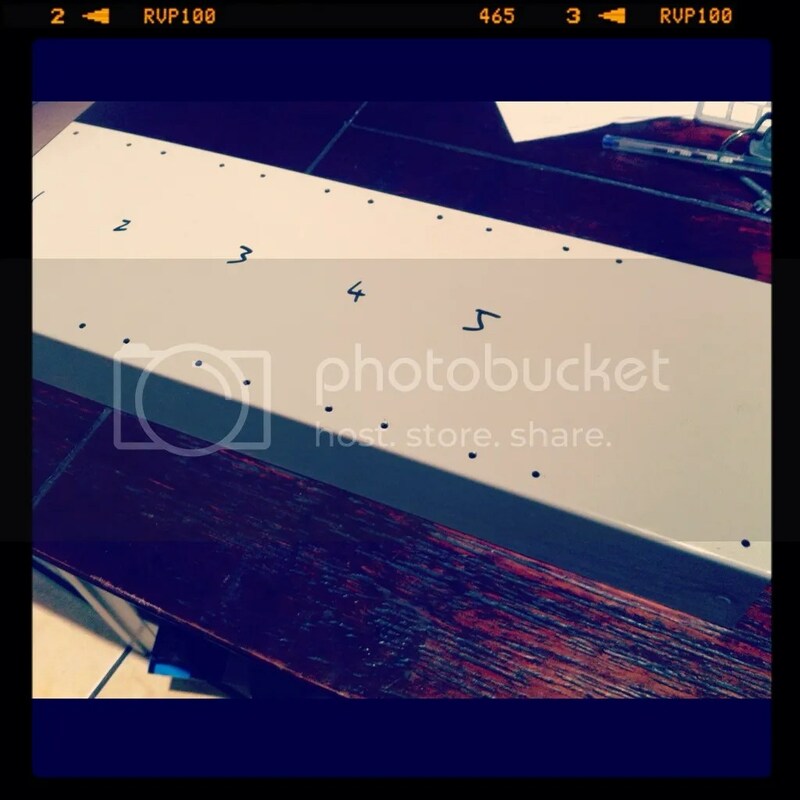 I had originally planned to make a 6 pedal multi box but I couldn’t decide what pedals to include! It measures 430 x 150mm. It’s currently grey, so will need to get it powder-coated black. 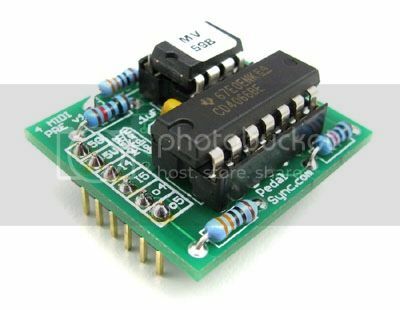 8 relays + components: R300?